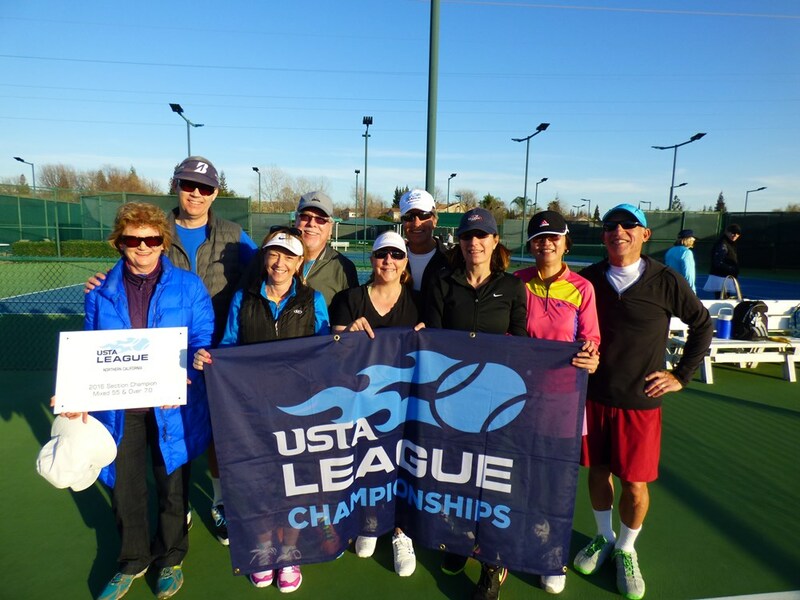 ALAMEDA, Calif. — February 15, 2017 — Four teams captured titles at the 2016 USTA Northern California Mixed 55 & Over League Section Championships this past weekend in the Folsom and Oakley area. The championships brought together the top 34 teams with over 400 players of various ability levels throughout Northern California. 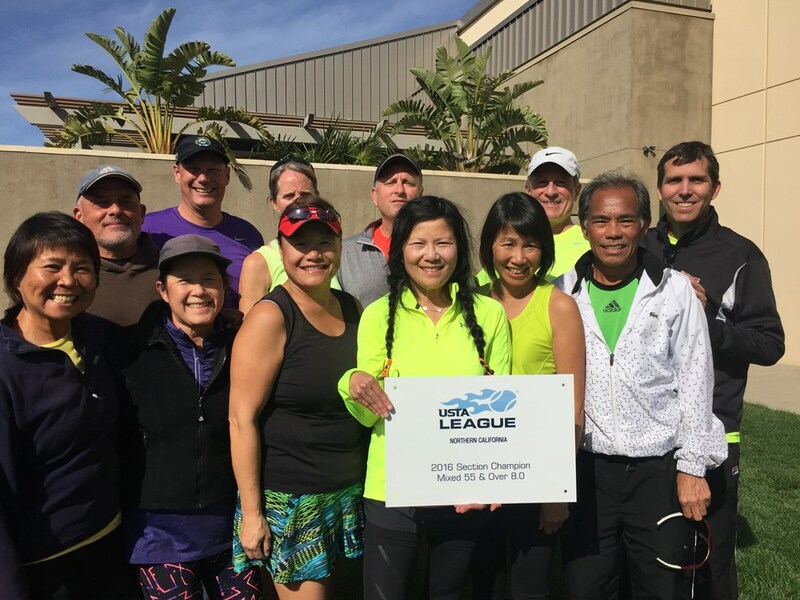 In the Mixed 55 & Over 6.0 Division, the Alameda team representing Laney Tennis Association, beat teams from Los Gatos and Santa Cruz to secure its title. The 15-person team is captained by Connie Chang and co-captained by Andrew Young, and plays at the College of Alameda. In the Mixed 55 & Over 7.0 Division, the Sunnyvale team representing the Sunnyvale Tennis Club/Sunnyvale Municipal Tennis Center, beat a team from Broadstone Racquet Club to take the title home. The 12-person team is captained by Craig DeNamur and co-captained by Lynn DeNamur, and plays at the Sunnyvale Municipal Tennis Center. 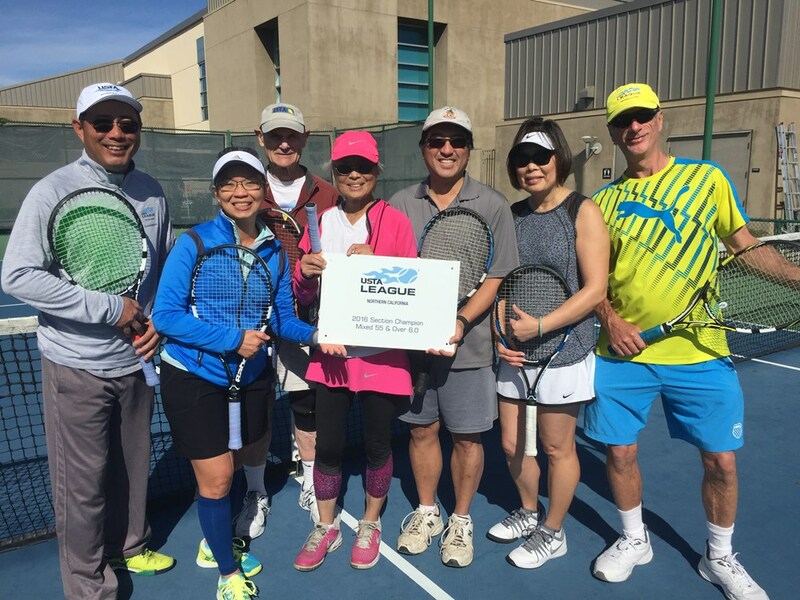 In the Mixed 55 & Over 8.0 Division, the Foster City team representing the Foster City Tennis Club, battled through Johnson Ranch Racquet Club 2-1 in the finals to finish in first place. The 17-person team is captained by Marsha Heimbecker and co-captained by Brian Heimbecker, and plays at the Edgewater Park in Foster City. In the Mixed 55 & Over 9.0 Division, the Los Gatos team representing the Gold River Racquet Club, went undefeated 5-0 to claim the title. The 13-person team is captained by Amanda Walker, and plays at the Gold River Racquet Club. 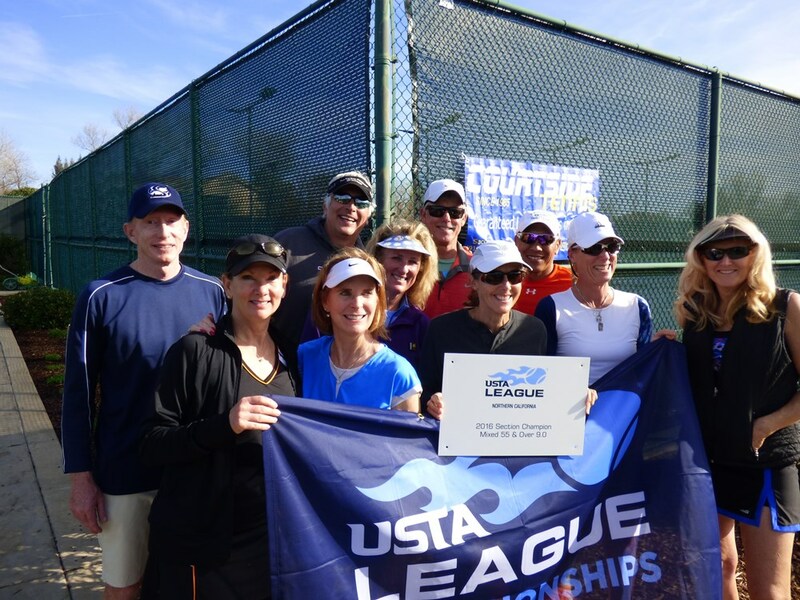 For more information about USTA NorCal adult leagues, visit norcal.usta.com/adultleagues.